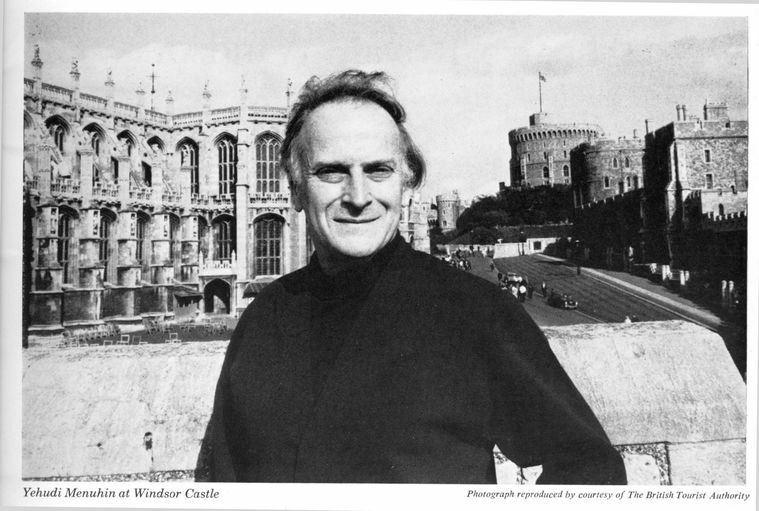 Windsor Festival was founded in 1969 with Yehudi Menuhin and Ian Hunter as Artistic Directors. Based around the participation of the Menuhin Festival Orchestra with Yehudi Menuhin using St George's Chapel, the State Apartments of Windsor Castle and other venues around Windsor and Eton. The roots of the Festival stretch back to when Robin Woods, Dean of Windsor met Yehudi Menuhin at a Royal Academy Dinner. The acclaimed violinist and conductor offered to put on concerts in St George’s Chapel, Windsor Castle. And so it was, that through their collaboration, an impressive evening of music took place in this prestigious venue. He began to realise the further potential of the Castle as a place to stage an annual music or artistic festival and had been inspired by similar festivals established in other cities. His vision did not end there, however, imagining events for the delight of the local people extending from the Castle to Eton, the Town Hall to the Theatre Royal and beyond. Meanwhile, Ian Hunter, former Director of the Edinburgh Festival and Menuhin’s agent, was also beginning to understand the full potential of the area as a location to celebrate the arts. In 1968, as he looked across the Thames from his weekend cottage at Bourne End, he thought 'what a magnificent setting Windsor and Eton would make for a festival of the arts.' He wrote to the Dean that year setting out his ideas and within a few months, through the remarkable drive and enthusiasm of everyone involved, a new charity, the Windsor Festival Society, was formed. Since that time the Autumn Festival has continued to attract distinguished artists from around the world. We have also expanded our programme to include the Windsor Festival International String Competition, alternating biennially with the Spring Leap, a youth and community festival held in March, as well as running the Schools' Programme, a creative competition for secondary school students in the Royal Borough of Windsor and Maidenhead.